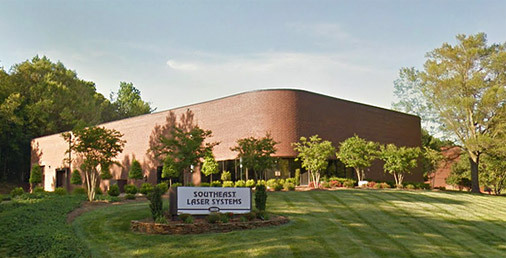 About Southeast Laser Systems, Inc.
Home > About Southeast Laser Systems, Inc.
Our state-of-the-art laser repair facility and distribution center. Located in Charlotte, North Carolina. Southeast Laser Systems, Inc. is an independent service organization providing medical laser services, training, rentals and products to the medical industry. In 1995 we began as a third party service organization based in Charlotte, North Carolina. Our growth over the last two decades has provided many exciting opportunities and today, our products are sold internationally. We have been providing the best in medical laser service and product performance since 1995. Our continued focus is providing quality services, products and training to the healthcare industry. Our services are provided by experienced laser service engineers, many of which have been factory trained. Our medical laser service engineers have more than 20 years of medical laser field service experience on many laser manufacturers' models, and service both new and old, surgical, aesthetic and ophthalmic. We also offer depot repair of many laser accessories. In addition to our services, we offer a variety of laser related product and accessory lines. Our products include laser safety eyewear, laser fibers, laser instrumentation, laser warning and danger signs, smoke evacuation supplies and specialty replacement parts. For added convenience, many of our products can be purchased online 24/7. Our laser service engineers maintain credentials and validations with industry leading credentialing services such as Reptrax, VendorMate, and VCS Database.